Jones Cup 2015 already started yesterday, August 29, 2015, in Taipei, Taiwan, and the Philippines' national basketball team Gilas Pilipinas is set to play their first game tonight, August 30, at 7PM vs one of the host teams, the Chinese Taipei A.
I have posted the 37th William Jones Cup 2015 schedule of preliminary games below, as well as the final results or scores from every game and the team standings in every day to keep you updated about who's on the lead, and who's being left behind. You can just check online any available live streaming of the games, or catch it via Aksyon TV. 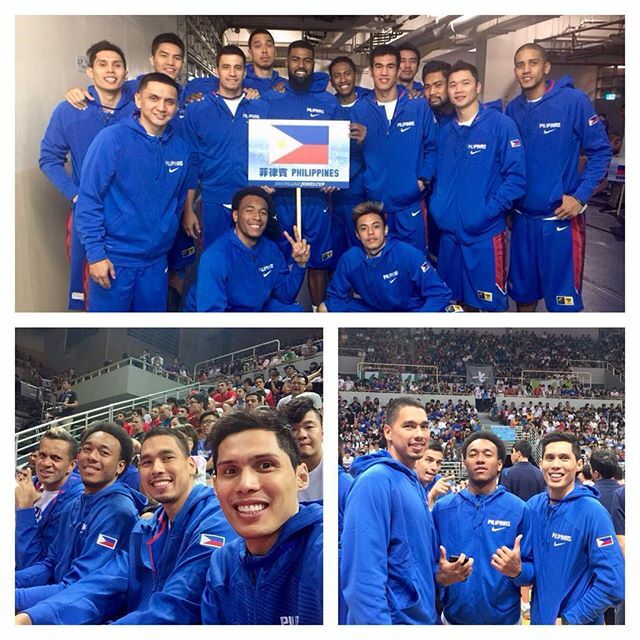 Gilas Pilipinas is playing in Jones Cup 2015 after 2-year absence, their first time in the tournament since claiming the championship in 2012. 2013 and 2014 champions were respectively Iran and Korea. The 12-man lineup of Gilas Pilipinas for Jones Cup 2015 will come from this roster of 16 players who went to Taiwan: Marc Pingris, Terrence Romeo, JC Intal, Jimmy Alapag Jason Castro, Calvin Abueva, Gabe Norwood, Asi Taulava, Dondon Hontiveros, Gary David, Ranidel de Ocampo, Sonny Thoss, Troy Rosario, Aldrech Ramos, Moala Tautuaa and Matt Rosser. Each of the 9 competing basketball teams in William Jones Cup 2015 will be playing 8 games in the preliminary round, before the Final 4 teams are determined, and then advance to the semifinals. Team Standings as of 3rd Day: Iran 3-0, Russia 3-0, Chinese Taipei A 2-1, New Zealand 1-1, Philippines 1-1, USA 1-2, South Korea 1-2, Chinese Taipei B 0-2, Japan 0-3. Final Team Standings: Iran 7-1, Philippines 6-2, Chinese Taipei A 6-2, Russia 5-3, South Korea 4-4, New Zealand 3-5, USA 3-5, Japan 2-6, Chinese Taipei B 0-8.